Funds raised during the Winter Classic will continue to be directed at Brockville Rotary Park. The Park is a locally funded facility that offers free recreation for the entire community. This facility is integral to the healthy upbringing of our youth by offering play without charge. 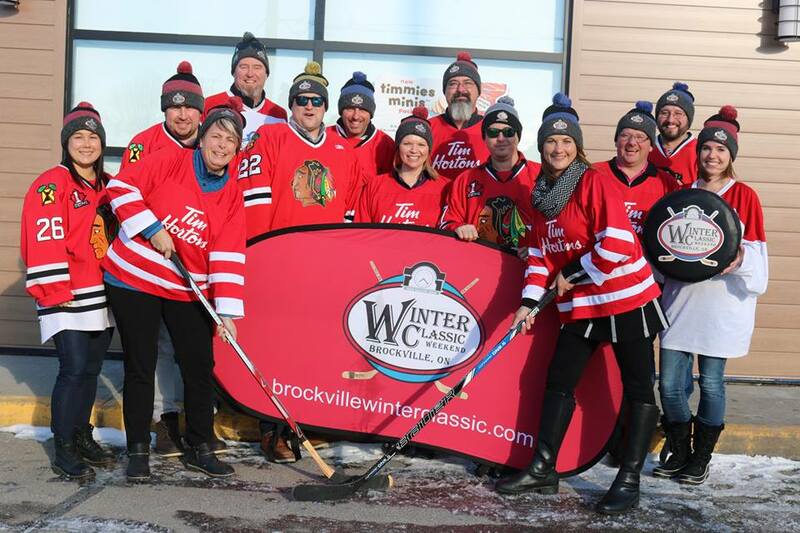 Since 2010, the Rotary Park Revitalization Committee has infused approximately $2,000,000 into this community asset and couldn’t have done it without the support of the Winter Classic team and you the community at large. ▪ Donate! Both cash and in-kind donations are appreciated. (picture and article courtesy of Snapd 1000 Islands) Winter Classic Committee members join with Tim Hortons owners Shane Joyce & Natasha Avis (Brockville) and Shawn & Lisa Lockett (Prescott) at the Tim's on Parkedale Ave.